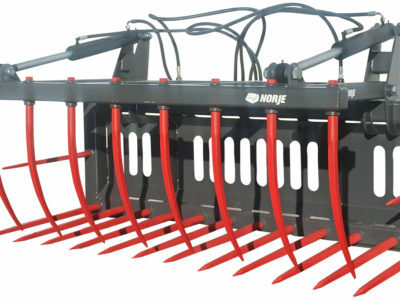 The Manure Forks is specially made for handling manure, with wider distance between spears. 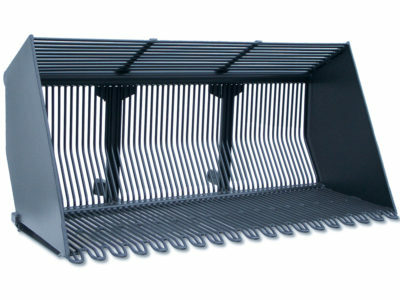 A fork bucket especially designed for handling potatoes. Models available for tractors and wheel loaders. 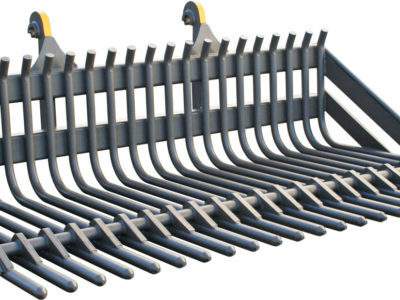 The Silage Fork is a very strong implement for wheel loaders, designed especially for handling great volumes of silage. 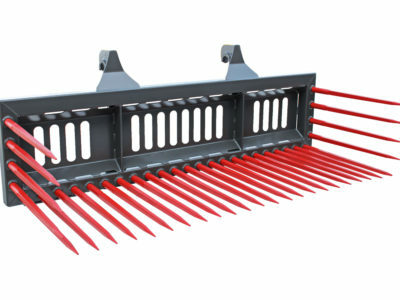 A multi-functional implement for compact loaders for handling for example silage.  The Silage Grab for tractors, smaller wheel loaders and telescopic handlers is a multi-functional implement för silage handling. 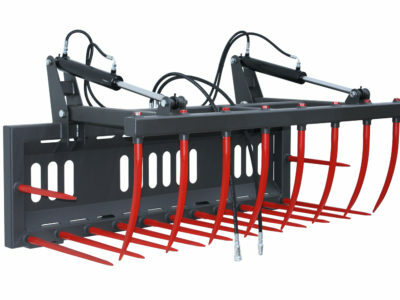 The Silage Grab for larger machines is very strong and sturdy when handling for example silage. 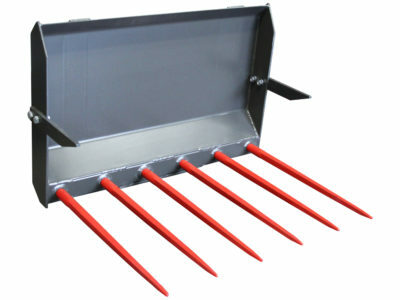 A robust Stone Fork that keeps the stones in place. Several models depending on machine size. 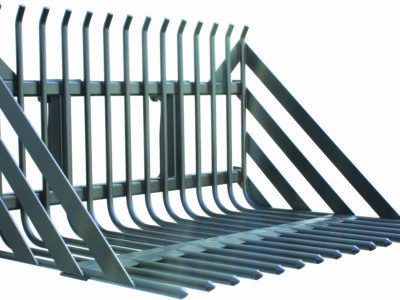 A very solid and strong Stone Fork for wheel loaders. 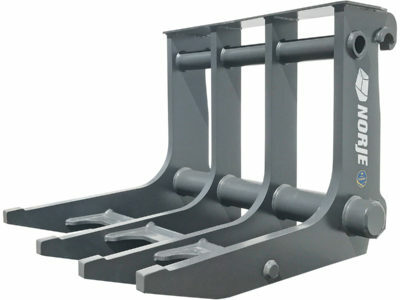 Several models depending on machine size are available. The Stone Lever Fork is for bending up larger stones or stubs. Very sturdy, can handle great strain and high pressure. The Universal Fork has many fields of application, for example silage, manure or stone. 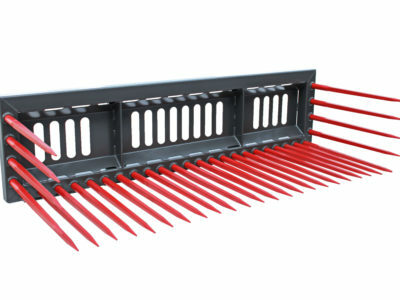 The Universal Fork for wheel loaders has many fields of application, for example handling of silage, manure or stone. 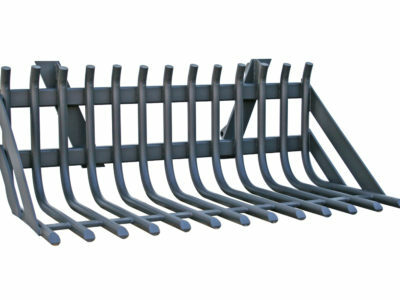 The Universal Stone Fork is a strong and versatile implement for handling stone, silage and manure. 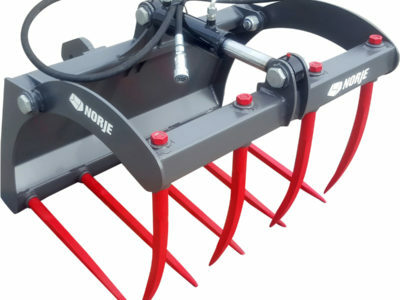 The Universal Stone Fork is a versatile implement for stone, silage and manure. 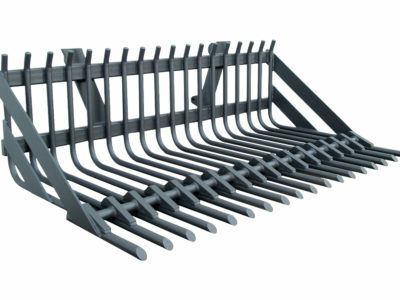 The Universal Stone Fork is a strong and versatile implement for wheel loaders, for stone, silage, manure etc.